Miu Miu Sorbet. Style featured in the SS17 runway show and advertising campaign. 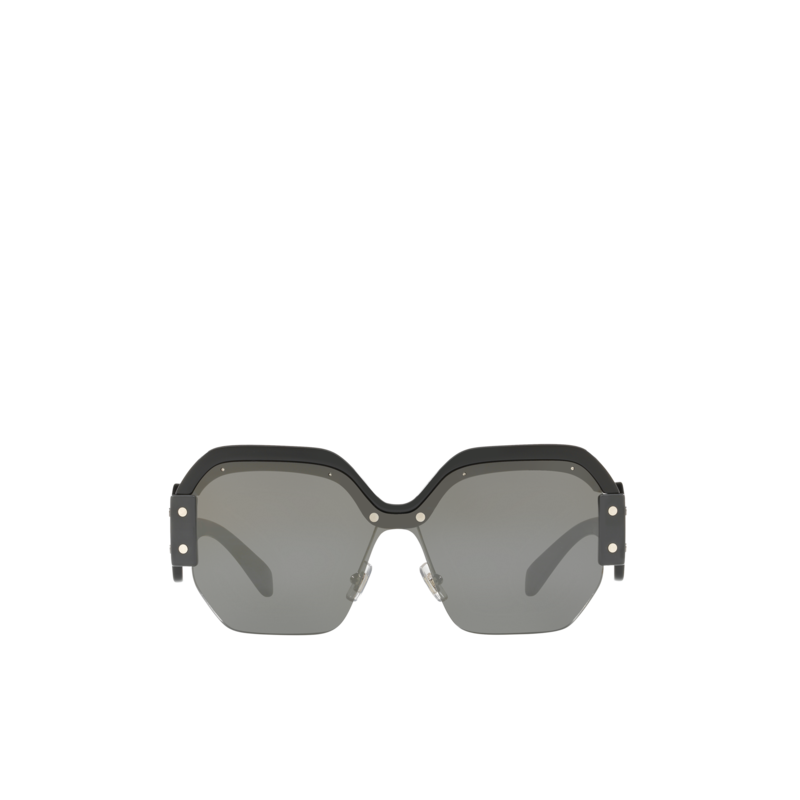 Flat lenses create an angular, wraparound front highlighted by striking upper profiles and bold temples with outsize hinges. Miu Miu lettering logo. Adjustable nose pads ensure a perfect fit.